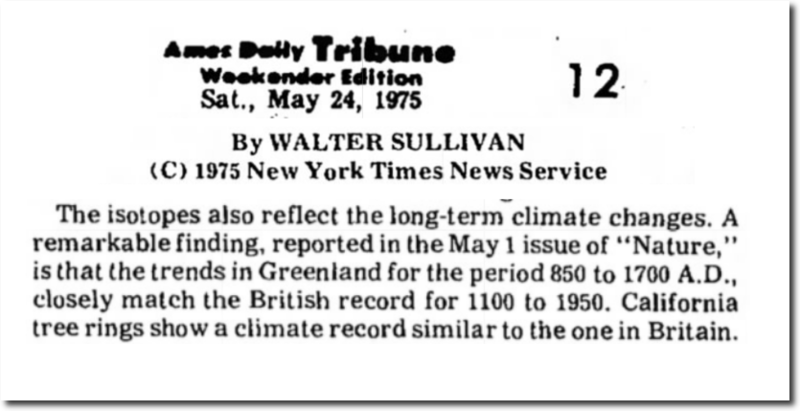 In 1981, NASA’s James Hansen showed a Medieval Warm Period – based on temperatures in Greenland, California and England. The 1990 IPCC report showed the same thing. 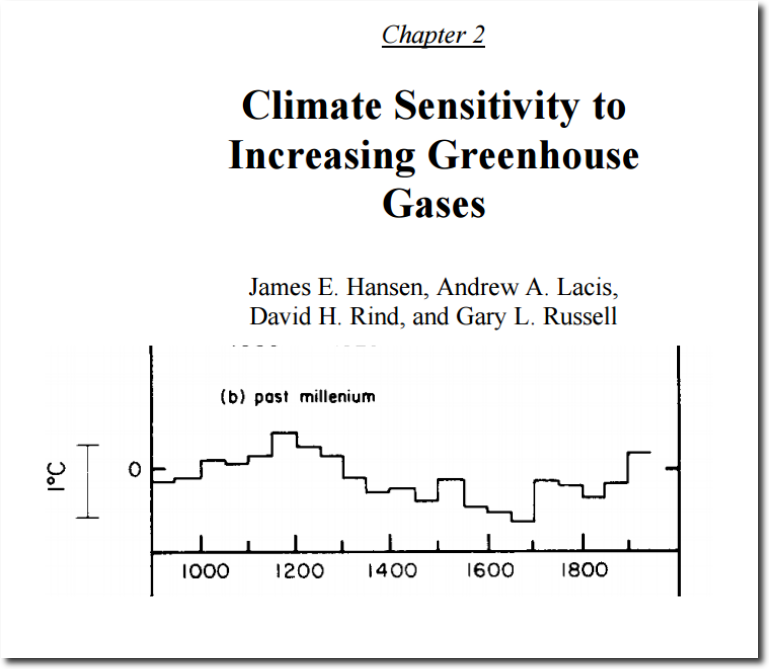 Overlaying Hansen’s 1981 graph on the 1990 IPCC graph, it can be seen that they are almost identical. This research was reported in Nature in 1975. 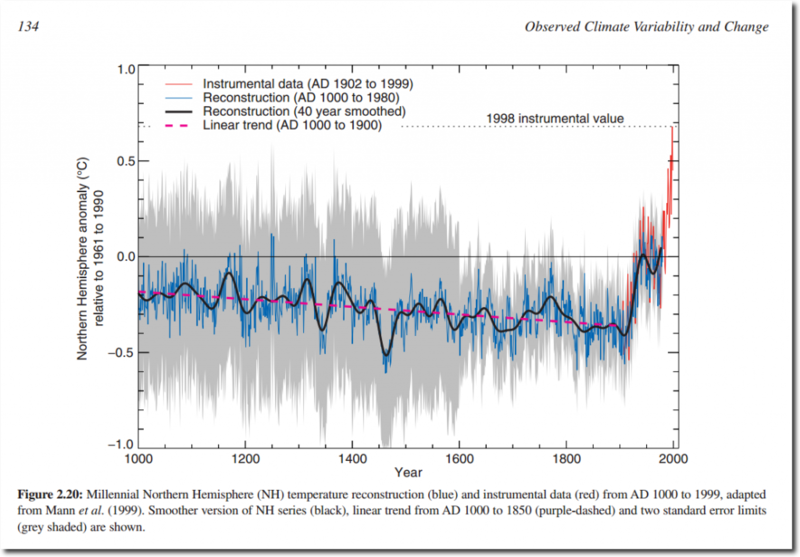 The Medieval Warm Period has been known for over 80 years. 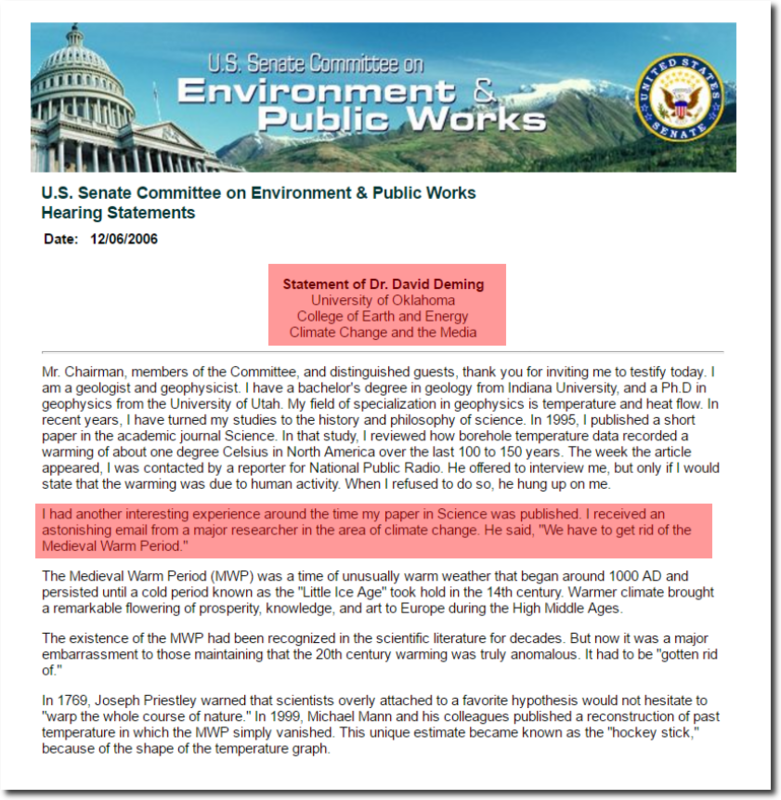 The existence of the Medieval Warm Period wrecked the global warming scam, so professional climate fraudsters like Michael E Mann decided to get rid of it.